A total of 1900 staff in the UK and India will transfer to UK IT outsourcing service provider Capita from insurer Axa as part of a £500m deal. Capita said these workers will have good opportunities as part of the supplier's workforce. 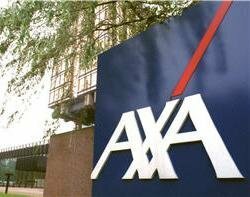 Axa has handed over customer servicing, policy administration, claims activity and IT support to a proportion of AXA Sun Life's business and will pay Capita £500m over 15 years. About 1,300 AXA staff in the UK will transfer under TUPE regulations. The 600 staff at Axa's Indian operation will be given the same rights as the UK staff. "Although TUPE does not apply in India, these employees would transfer in the spirit of the legislation, ensuring protection of their existing terms and conditions," said Capita. Paul Pindar, CEO of the Capita Group, said Axa staff transferring to the supplier have good opportunities. "AXA has stressed the importance of our track record in effective customer service in selecting Capita as preferred bidder, while cost savings are also an important aspect. For AXA employees who may transfer, Capita has a thriving life and pensions business including our work for the Children's Mutual, Resolution, Prudential, Abbey Life, Zurich and Cooperative Financial Services, and we believe that this deal offers positive opportunities for many of them."